On Friday 14th September 2018 the i4 Recruitment team had a lunch break like no other. 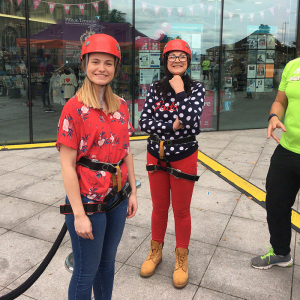 A number of us ventured into the city centre of Norwich to step out of our comfort zones. Throughout the weeks prior we had worked hard to fundraise for East Anglia’s Children’s Hospices (EACH Charity). 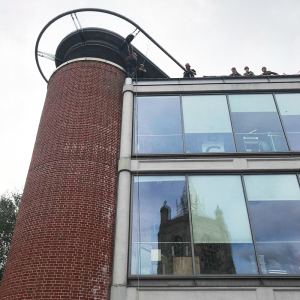 Having done this allowed myself (Adam), Kelly & Victoria to take the plunge and abseil down one of Norwich’s most iconic buildings. Finished in 2001, The Forum is one of the most successful Millennium Projects in the United Kingdom. Playing host to a range of facilities such as Norfolk and Norwich Millennium Library. The landmark is also home to BBC East, which broadcasts daily TV and radio news across the Eastern Region, Pizza Express and more. For a number of years i4 Recruitment have helped raise money and awareness for EACH’s largest project to date. The Nook Appeal set out with a goal to raise £10 million. Having raised upwards of £8 million to date, East Anglia’s Children’s Hospices are seeing great progress in the construction of their state of the art facility. Click here to read more. First let me say a huge thank you for Sophie and East Anglia’s Children’s Hospices. Without all of you it would have been a typical Friday like every other. Also the i4 Recruitment team would like to extend a thank you to Sportspark, Norwich who were the muscle behind the drop. 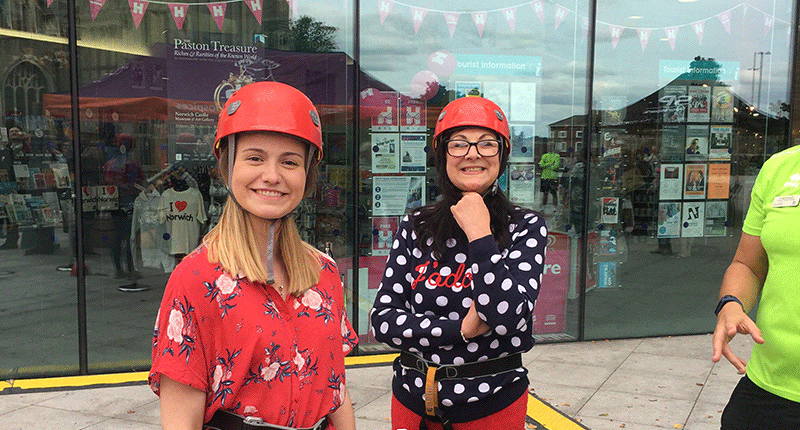 Finally a huge thank you to Kelly & Vickie for getting involved and raising money for the charity. And most importantly Jason Adams (Managing Director) for allowing us to have a rather extended lunch break to take part. 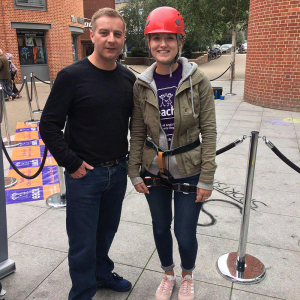 Not only did he allow us the time out for this, but due to an ankle injury allowed Sophie from East Anglia’s Children’s Hospices to take his place. Be sure to get in touch or subscribe to i4 Recruitment to see what we have in store for East Anglia’s Children’s Hospices in future.